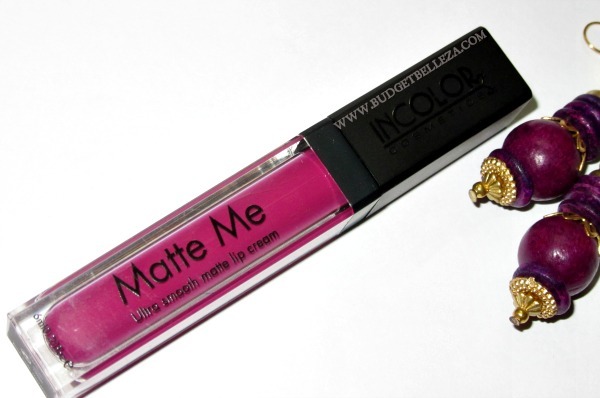 It won't be an exaggeration to say that the matte lip trend has taken the fashion world by a storm. The social media,specifically Pinterest and Instagram is flooded by it and we,over here, are floored by it!! 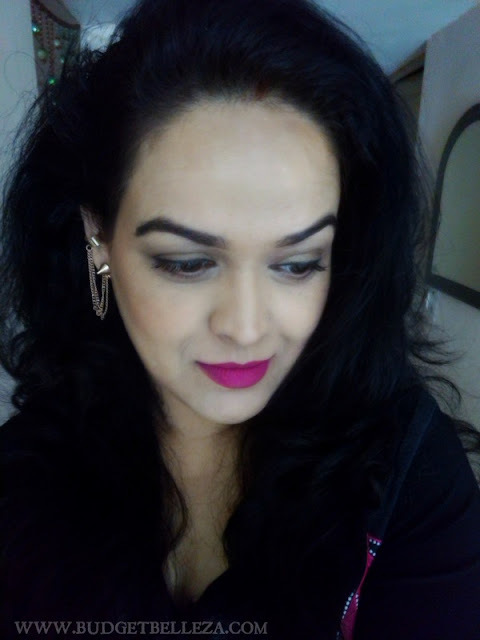 In one of my previous posts I reviewed the Incolor Matte Lip Cream in 407 which was a good dupe of Sleek matte lip creams and my inbox was overwhelmed with the where's and the how much's and the how can I's.. Here I am with another shade of the same product!!! I couldn't find the product or website online. 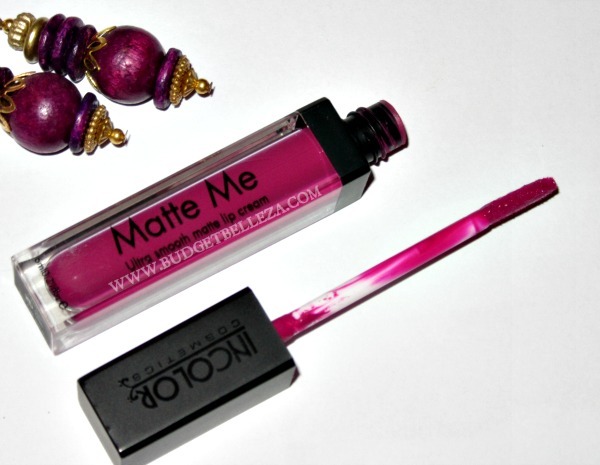 The colour is a deeper Radiant Orchid (Pantone colour of the year 2014) Its a bright,cool-toned fuschia purple and surprisingly despite the brightness,its easier to carry (thank the purple,fuschia alone wouldn't have been this BEAUTIFUL) The shade would suit all skin tones..light,medium,dark..equally!! 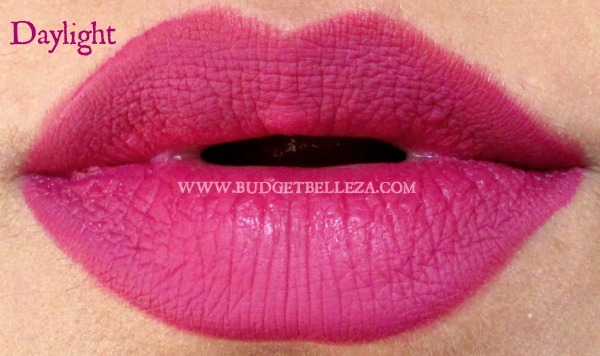 The shade is pretty close if not dupe of Sleek Fandango Purple. 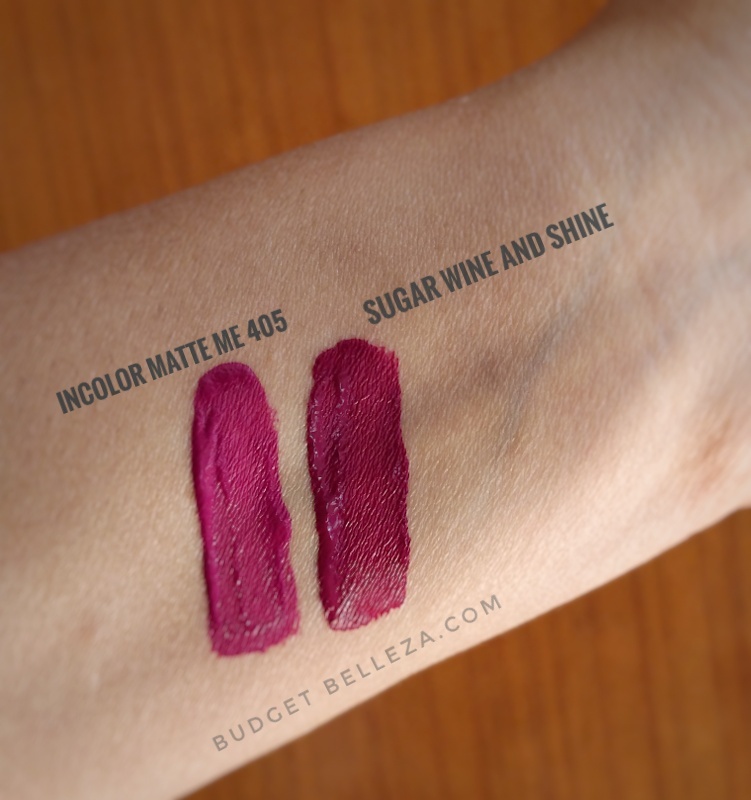 Also it is a close close dupe of Sugar Cosmetics Smudge Me Not liquid lipstick in Wine and Shine. 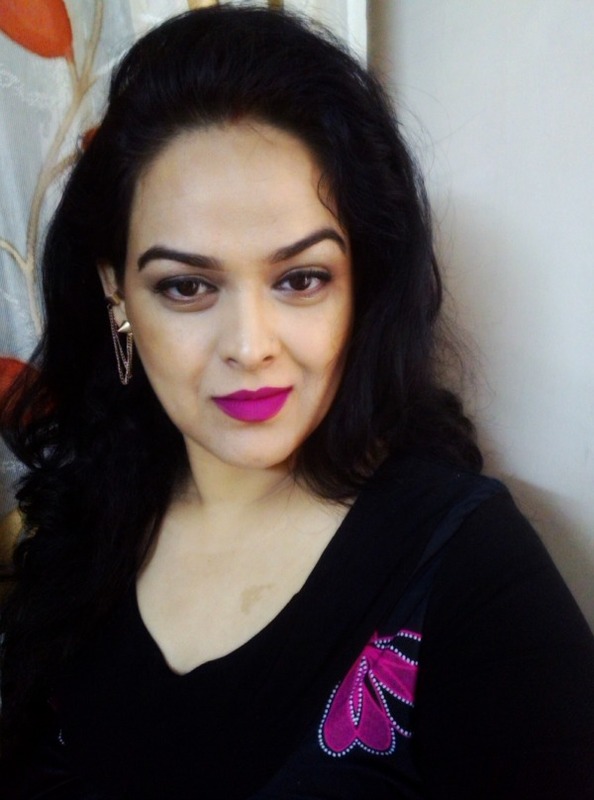 Its super pigmented and gives a good coverage in the first swipe itself.Infact it is so pigmented that it requires a hell lot of precision while applying coz if you go wrong wiping it off would be a task. Staying Power:Till you have a cotton dipped in makeup remover in your hands...like literally! It just won't budge.I really like that coz with this formula touch ups are a distant dream,you will have to wipe it all out and reapply otherwise. So I'm happy it stays till the time you would probably want it to. 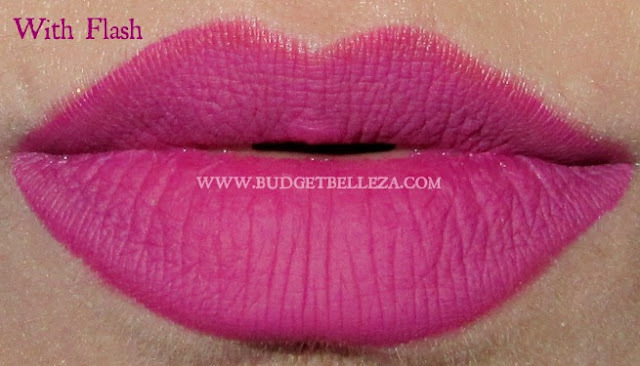 Was searching for a Fandango Purple dupe and this is pretty close. 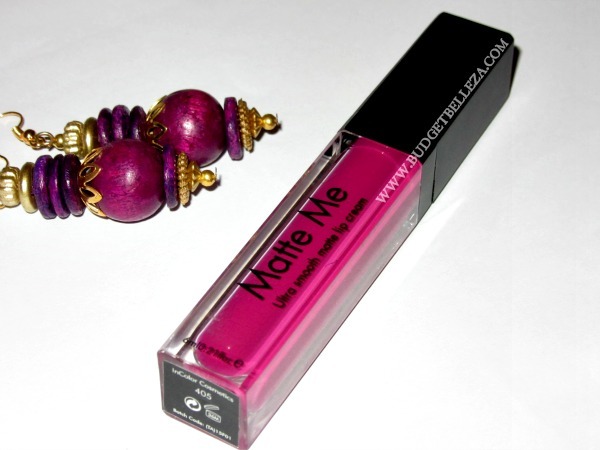 Despite the cons,I highly recommend this if you are a matte lips lover and want to try fuschia purple shade! I loved the shade on u! I love incolor n miss claire lipcremes. 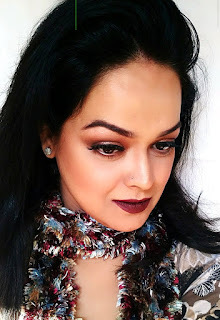 Affordable and great dupes for sleek n nyx! I'm yet to try the miss Claire ones Ric! But does they are for sure! The shades looks gorgeous. 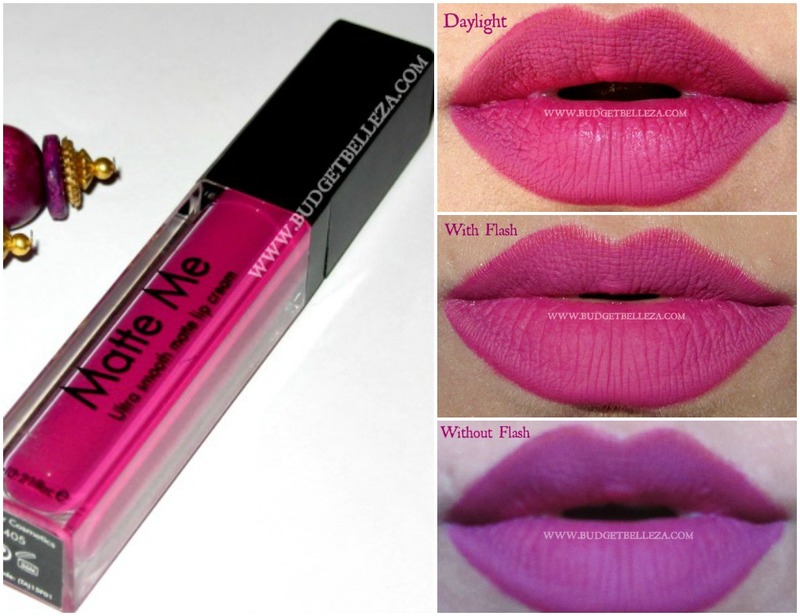 Love how deeply pigmented it is.